The CA04 and PA04 are economical signal conditioners that are designed for use with turbine flowmeters. The CA04, when used with an RF pickoff generates a carrier frequency that is modulated by the rotating blades of a turbine rotor. 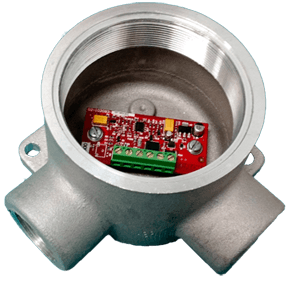 This eliminates the effects of magnetic drag, greatly extending the range and linearity of small meters in low flow applications.